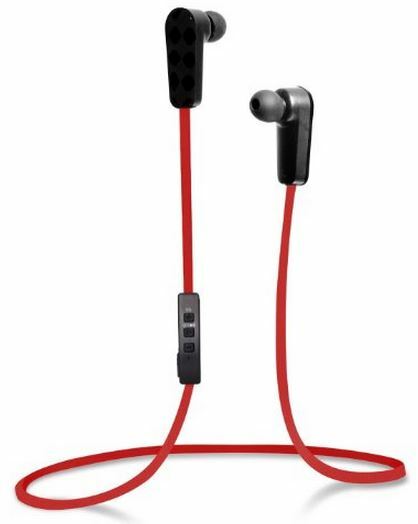 If you’re like most people, you love listening to your favorite music with a high quality set of earbuds. Whether it be during your workout, on your way to work, or just on occasion, the right pair of headphones can make a huge difference in your overall listening experience. 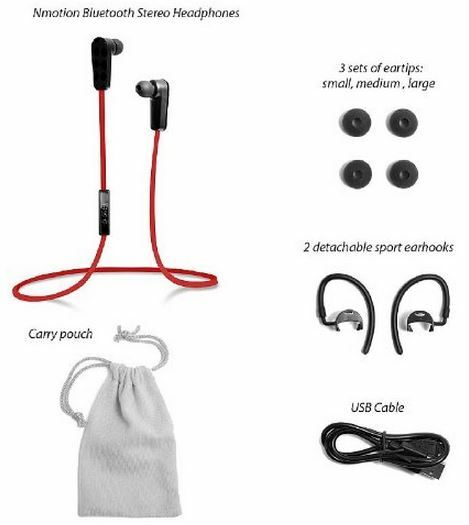 One of the most popular choices for those who want to make a small investment is the Jarv NMotion Sport Wireless Bluetooth 4.0 Stereo Earbuds/Headphones. We’re always keen to recommend them since they seem to be the perfect blend between both affordability, comfort, and function. Using Bluetooth technology, listeners can enjoy wireless transmission and don’t have to worry about a tangled mess of cords or cables. Additionally, they are packed with a multitude of favorable features and a price tag that doesn’t break the bank. Let’s take a closer look to see what they have to offer. Jarv went ahead and updated the version of Bluetooth to 4.0 A2DP to make for a crisper, cleaner sound that’s superb over it’s predecessor. This way, you can connect to your smartphone, tablet, computer, MP3 player, or laptop so you can play your favorite video games, watch movies, or listen to tunes without the annoyance of cables. Just be sure to check that your preferred device is Bluetooth enabled, otherwise it won’t be able to pair. Inside of the Jarv NMotion Sport Wireless Bluetooth 4.0 Earbuds is a Li-ion battery that keeps them running for up to 5 hours of constant playback, or up to 100 hours of standby time. This internal battery has the longevity to last through thousands of charges so you’ll never need to worry about the battery malfunctioning or not holding a charge. Included in the set is a USB cable that can be plugged into any USB port for quick and effortless charging. Although there isn’t any two prong outlet AC adapter, you have a lot of options with the USB cable. Many people use a small power outlet to USB adapter if they want to charge it this way. One of these can be picked up rather inexpensively. Intergrated into the line between the two earbuds is a small black connector piece that has a few different buttons on it along with an in-line microphone. 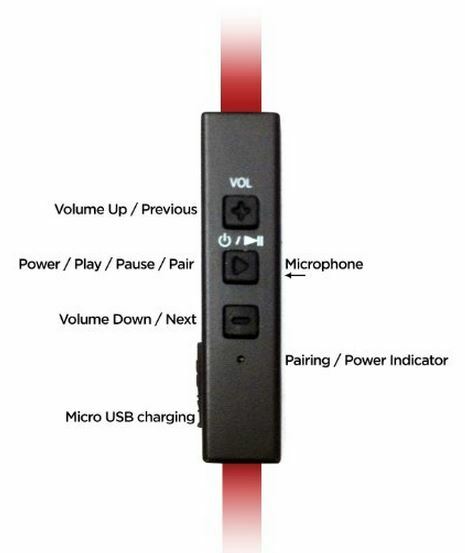 The volume can be manually adjusted here, as well as the power, play, pause, or pair functions. Additionally, this is the location where you’ll plug the USB cable in when you need to charge up the internal battery. With a convenient location to control your audio from, you can answer or make phone calls without taking the headphones out of your ears. 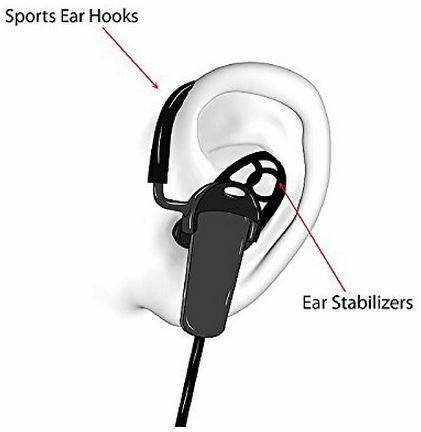 When the earbuds are properly configured and placed into your ears, you’ll find that they’re very stable. This is thanks to the included ear stabilizers that work mutually with the ear hooks to keep them stuck into your ear. With many earbuds, keeping them locked and secured in our ears isn’t always an easy task. We’re pleased to say that the Jarv NMotion headphones do a fantastic job of keeping them where you need them most. When you first receive them in the mail, there’s a small amount of assembly that’s required. First, you’ll need to remove the ear bud tip. Then, slide on the ear stabilizer with the flap pointing away from the tip of the earbud. Once you’ve done this, it’s time to push the ear bud tip back on, and adjust the stabilizer to fit comfortably – depending on the shape, size, and contours of your ears. When you have them on properly, you should make sure that both of the stabilizers should be facing outward. Assembly may seem a tad bit confusing, but it’s really not. This straightforward assembly procedure only takes a minute or two. The Jarv NMotion Sport Wireless Bluetooth 4.0 Stereo Earbuds/Headphones come in a variety of color options to suit any stylistic preferences that you may have. Consumers are able to select from either black, green, pink, purple, or red. When purchasing anything for your electronic devices, considering the budget is of utmost importance. 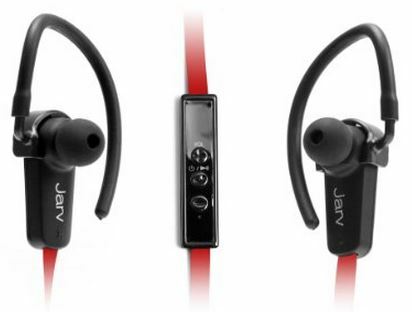 Although they were originally listed at a list price of nearly $70, the Jarv NMotion Earbuds are now available for $25 directly from Amazon. With over a 60% discount over their original retail price, they’ve come down substantially and are very inexpensive to say the least – especially for the quality of the features that they offer. This price point has in turn made them an incredibly popular option for those who want to gain quality, but don’t want to spend an arm and a leg. Jarv makes it very clear in saying that these were never designed for those who go jogging or running. The constant pounding and jumping of running can be a nuisance if you expect them to stay securely fastened within your ears. This is probably the only potential downside that we’ve come across, but it’s a deal breaker for some. If you’re a runner and looking for another option, checkout the Soundpeats Q8 APTX Wireless Earbuds instead. Overall, we’re very pleased to see such an affordable yet high quality set of earbud headphones available at such a decent price point. Although they’re not the best of the best, they’re a perfect match for anyone who wants decent high quality sound with an array of usable features that will keep you uninterrupted and listening for a continuous, extended time. We wouldn’t hesitate to recommend them to anyone looking for a nice pair of wireless earbuds that do the job. TechGuru – do you know if they playback whilst charging?